The ground floor of this home contains a light and open lounge, a practical downstairs cloakroom, a separate kitchen and utility and dining room designed to meet all of your culinary needs. 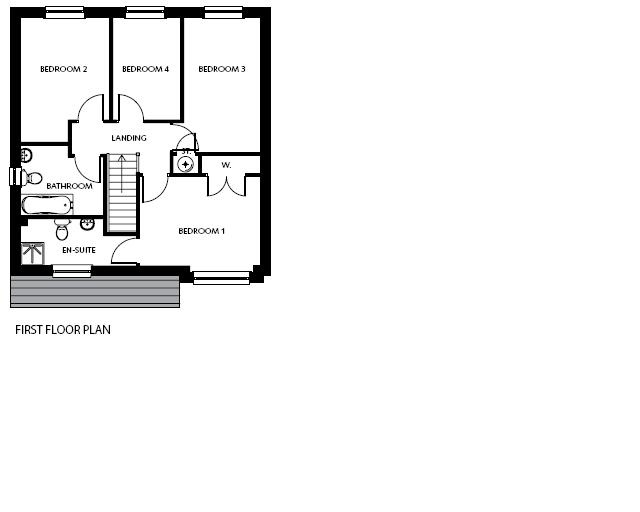 Upstairs, the first floor features four bedrooms, with the master bedroom featuring an en suite. All rooms are served by the contemporary family bathroom. Persimmon is excited to be part of Heartlands, a new development project on the outskirts of Whitburn, a small town nestled in the Almond Valley in West Lothian. Offering two, three, four and five bedroom homes, the situation is perfect if you need to travel regularly to Glasgow or Edinburgh. When it's finished, the Heartlands development will be a thriving community made up of new homes, businesses and sports facilities. Situated at Junction 4a off the M8, it's ideally located halfway between Glasgow and Edinburgh – ideal if you need to commute. The nearest major towns are Livingston, with its impressive designer outlet and various retail parks, and historic Bathgate, boasting a selection of fantastic shops, eateries and country parks. Families with children will be pleased to know a new primary school will be part of the overall development plan for the future of Persimmon @ Heartlands - this is in addition to the primary and secondary schools within Whitburn. West Lothian College in Livingston offers further education opportunities and Edinburgh and Glasgow have a selection of top class universities. Whitburn has a range of local shops for all your day-to-day necessities but for more choice Livingston, just a 20-minute drive from Heartlands, offers a range of high street brands and a supermarkets. It's also home to the Livingstone Designer Outlet – Scotland's largest designer outlet. And with Edinburgh and Glasgow easily accessible, you'll be spoilt for shopping options. Heartlands will appeal to you if you enjoy an active lifestyle as Xcite Bathgate, with its impressive range of activities and facilities, is just over 5 miles away. 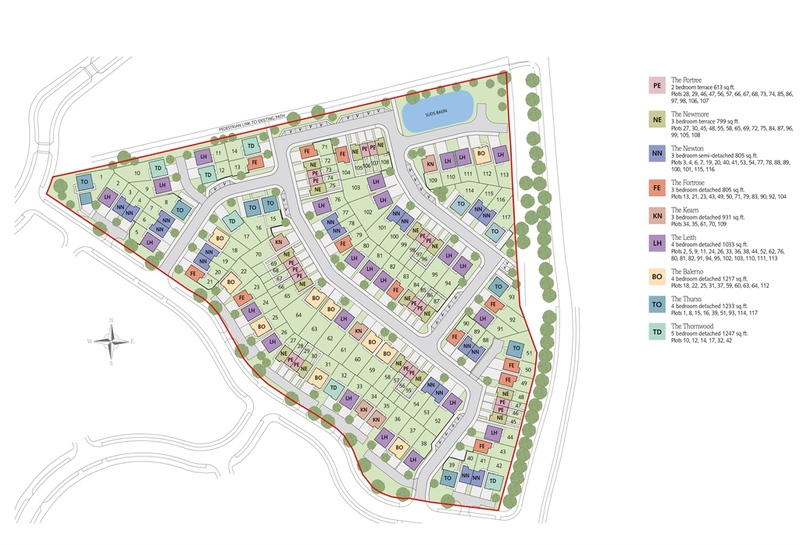 The River Almond also meanders close to the development, with the 68-hectare Polkemmet Country Park boasting a golf course, driving range, bowling green, children's play area, woodland and riverside walks, picnic areas and Scottish Owl Centre – all set in glorious countryside. Part of the ongoing Heartlands' development will include two new pga-designed championship golf courses. 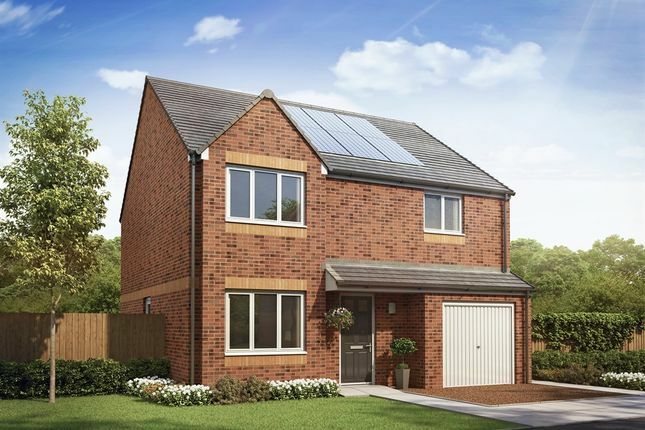 With its attractive surroundings, excellent facilities, convenient transport links and range of beautifully-designed homes, Persimmon @ Heartlands could be an ideal place for you and your family to call home. Arrange an appointment to hear all the latest news on this much-anitciapted development. A new primary school will be part of the overall development plan for the future of Heartlands, this is in addition to the primary and secondary schools within Whitburn. West Lothian College in Livingston offers further education opportunities. The nearest train station is Armdale. It has park and ride facilities and offers regular services to the cities of Edinburgh and Glasgow. The Airdrie-Bathgate line has been upgraded linking Edinburgh to Glasgow. There is also a regular bus service running to Livingston and Edinburgh. For road links, the M8 and M9 are both nearby, as well as the Forth Road Bridge and Edinburgh's bypass. Edinburgh Airport is within easy reach with its wide choice of national and international destinations. Property descriptions and related information displayed on this page, with the exclusion of Running Costs data, are marketing materials provided by Persimmon - Persimmon homes @ Heartlands, and do not constitute property particulars. 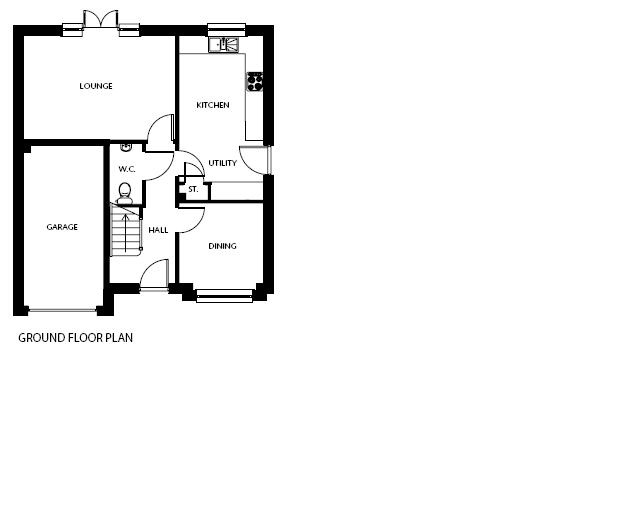 Please contact Persimmon - Persimmon homes @ Heartlands for full details and further information. The Running Costs data displayed on this page are provided by SmartNewHomes to give an indication of potential running costs based on various data sources. SmartNewHomes does not warrant or accept any responsibility for the accuracy or completeness of the property descriptions, related information or Running Costs data provided here.